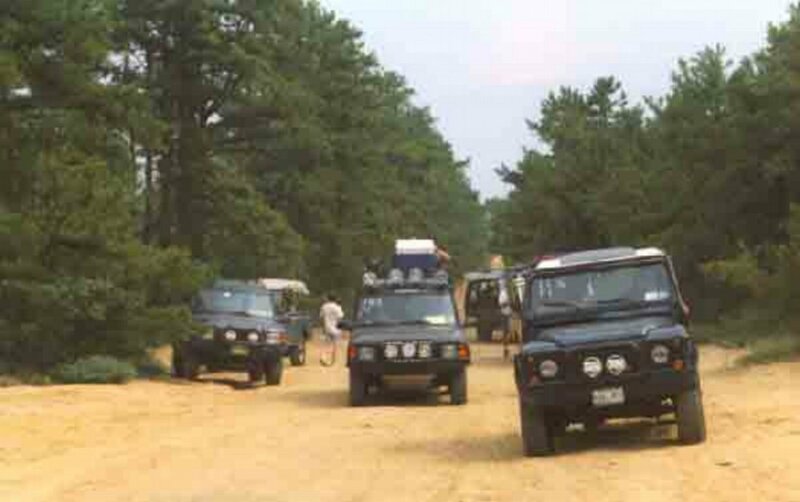 New York Land Rover Club held it's first "Baby Camel Trophy" on July 24th and 25th in the New Jersey Pine Barrens. A local land owner had graciously agreed to let us utilize his 1,100 acres of woodlands for this event. The property had a variety of terrain, hills, water and sand, which made for a nice variety of obstacles. There were also a natural campsite with a stream, which we used for our base of operations. 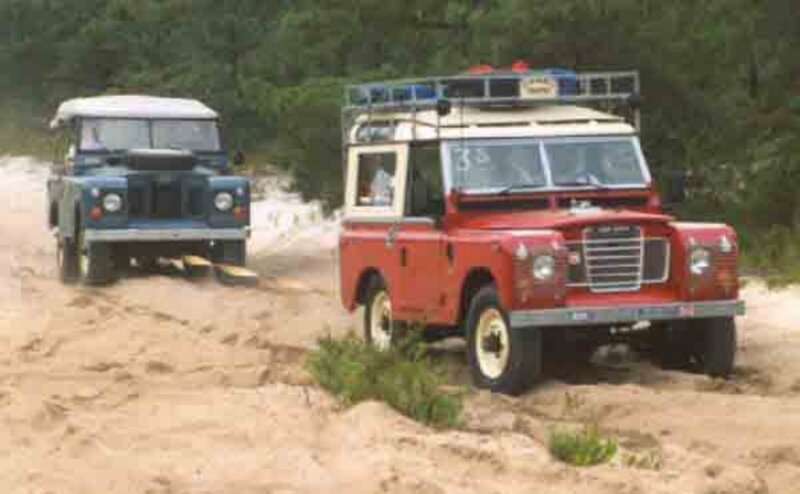 22 Land Rovers competed in two classes, stock and modified. The competition consisted of several trials courses and other challenges. After setting up camp Saturday morning, it was off to the competition, which took most of the afternoon. When the competition was over, everyone headed back to camp to cool off in the stream, get something to eat and relax for a while. Later, around midnight, there was a night run around the property. This run was not part of the competition, and was led by one of the local four wheelers, in a lifted VW with 44 inch tires. The run went through the woods and across some *deep* water, wich in some places went over the hood on most of the Land Rovers. On Sunday morning, some of the wives and girlfriends went antique shopping in the land owners antique store on the edge of the property, while everyone else was free to hit the trails and explore on their own. All in all it was a good event, with a nice turnout.